Subject: Despite popular belief within the industry, Cyrrus suggest seamless integration of surveillance data is possible. Whenever faced with merging two enterprises in business, no matter the industry, the management team always aim for ‘seamless integration’; but what is understood by the term? With people, it would be bringing together disparate groups into a homogenous and equal association. Easier said than done, as life and business is extremely complex. To achieve successful integration involves detailed planning and execution, leader development and support, retention of the right people, re-designing an appropriate organisation, aligning cultures and communicating effectively. In many ways ‘seamless integration’ in technology has similar characteristics. It is viewed by technology gurus as ‘an addition of an application, routine or device that works smoothly with the existing system. It implies that the new feature or program can be installed and used without problems. It simply means that whatever change is being applied to a system, it happens without any negative impact resulting from the integration’. It is also used to describe a future upgrade to an existing system, to assure stakeholders that there will be no problems resulting from the integration. From listening closely to the needs and expectations of project stakeholders, Cyrrus could see clearly what success ‘looked like’. Key objectives were identified and requirements captured from the regulator, aircraft operators, IFP designer and Airport staff, including Air Traffic Control Officers. Once the start and end states of the project had been clearly defined and responsibilities identified, an Airport-centric safety programme was developed. This ensured that planned safety assurance and transition-focussed activities would result in robust evidence being developed to underpin the Cyrrus safety case, claiming ‘Implementation of RNAV(GNSS) IFPs will both achieve and maintain an acceptable level of safety performance’. So why is it that some organisations within the Air Traffic Management (ATM) domain, dismiss the need for ‘seamless integration’ when it comes to assessing solutions to overcome the wellknown impact of wind energy development on Air Traffic Control (ATC) surveillance systems? When challenged, we hear that ‘…seamless integration is not achievable because no supplier in the market place has demonstrated that capability’. This is simply not the case. Seamless integration in CNS/ATM technology is the result of careful planning which may even have started during the design phase of the system or application. 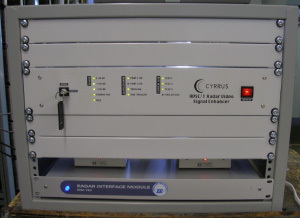 That was the case with the Radar Video System Enhancer (RVSE) technology, developed by Cyrrus and demonstrated in 2011. 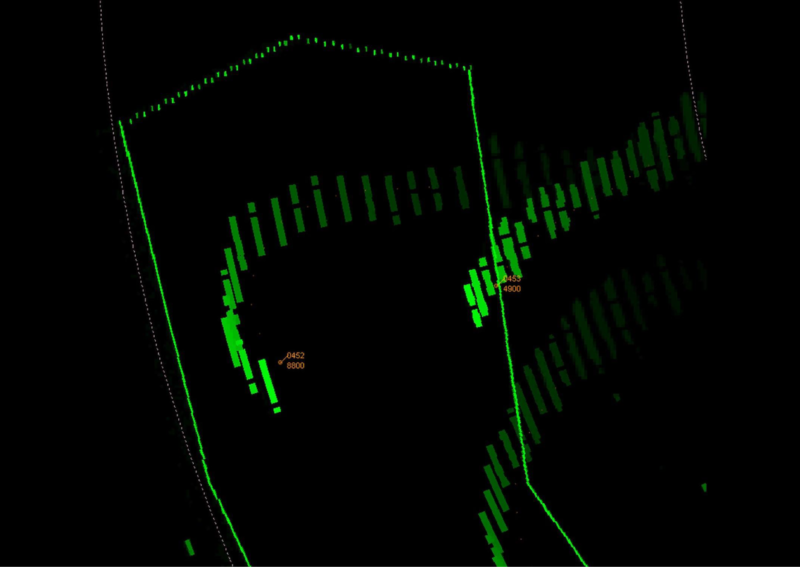 The RVSE was used to integrate the radar data from one off-site surveillance system and integrate it with the host surveillance system most successfully in a selected area over an operational windfarm. The key success criteria specified by the controlling staff before the commencement of the 2-week trial were met in full; but the airport management had their eye on a more modern solution whereby their aging radar system would be replaced in its entirety. Nonetheless, seamless integration was achieved and in video no less! Learning from the RVSE experience, Aerium™ was developed for seamless integration of modern processed radar. This was defined using the best and well-tested principles of systems engineering. Safety assurance and regulatory compliance were considered from the outset. The result is a robust method of seamless integration that can be used with any surveillance sensor and display systems. This small rack mounted unit (3HU) is readily accommodated in a standard equipment rack and has a very low power requirement. Significant bench testing using scenarios to stress the system were conducted as part of the product qualification testing process. The same test facility is used to preconfigure each unit prior to delivery; on site the unit is plug and play. Aerium™ is capable of handling several disparate types of sensor sources and integrating them seamlessly. This includes ADS-B, MLAT and traditional primary and secondary sensors. It has main data sources and standby data sources that can be used as a fall back in the event of main sensor failure; a product that reflects the real needs of the industry. Aristotle once said: Excellence is never an accident. It is always the result of high intention, sincere effort, and intelligent execution; it represents the wise choice of many alternatives – choice, not chance, determines your destiny. It is misleading to state that ‘seamless integration’ of the primary surveillance data is not achievable’. Affordable and effective, Aerium™ has much to offer the CNS/ATM domain in cost saving and performance, enabling service providers to deliver a safe and expeditious service where wind energy developments are being established close to airports and air routes.